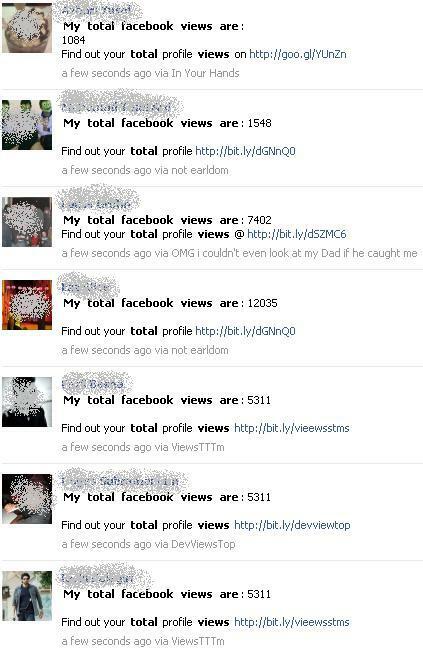 Thee latest scam spreading on facebook is My total Facebook views.Many of the people just click on these apps for getting Total views but they dont know somebody just taking their personal information . 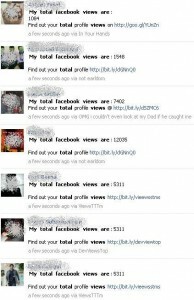 The post of My Total facebook views is just goes up very quickly right now and the application doing the post is going by several different names . As the number of views appear on the wall is just a fraud ,as when you complete the survey of this application ,spammer earn money and they will give nothing in return to it.